You need to be in Lonavala (Maharashtra) to understand nature’s stunning level of generosity to this part of the world. You cannot but envy the people for what they can take for granted every moment of their life – picturesque landscapes, majestic mountains, cloud-hugs, scenic waterfalls and fabulous greenery. If not for a lifetime, you can carry memories of a lifetime by visiting this hill station in Pune. 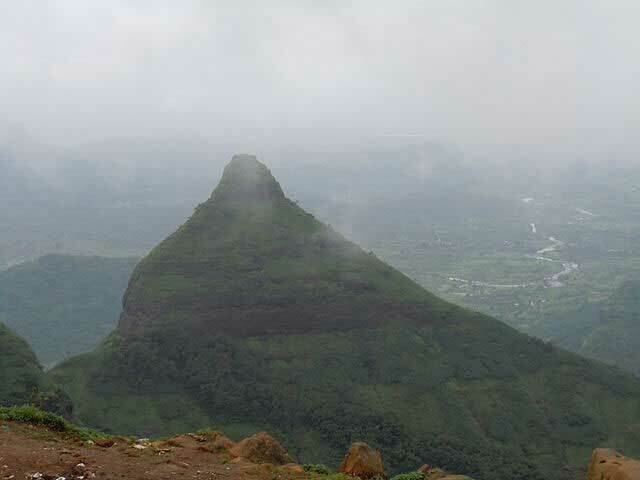 Here are the top 5 attractions in Lonavala. At 650 meter height, Tiger Point, which is also called as Tiger’s Leap, offers spectacular views of forests, lush greenery, waterfalls and lakes around. Since it resembles a leaping tiger’s shape, the place is called thus. If you are here during monsoon, you will have a spellbinding session with the clouds flowing over and around you minimizing visibility but maximizing the heavenly feeling you experience here. The sunrise and sunset views from here are mesmerizing. The place, in short, is a nature lover’s ultimate dream destination. Nature and the artistic excellence in man fight a friendly battle here to reign supreme. Though nature is the ultimate winner, the architectural brilliance of man is not to be underrated. Karla Caves is a perfect example of the artisanship of man as early as 80 BC. 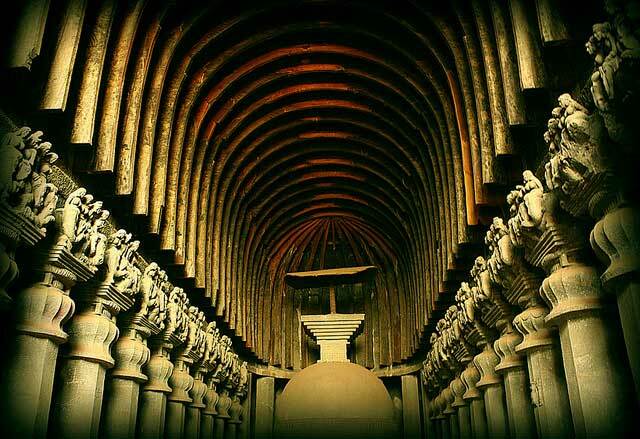 Karla Caves are an impressive representation of architectural brilliance. To reach the caves, you need to climb around 300 steep steps and you will not regret it. The sculptures are amazingly intricate, the pillars and the carvings are just beyond description. Lions Point is yet another destination that nature lovers would hardly bargain to visit. The picture perfect views of the deep valley with lush greenery and a number of waterfalls make your heart miss a beat or two. The 12 kilometer drive from Lonavala to reach Lion’s Point takes you through an exciting experience with sharp curves and scenic landscapes. Once up there, brace yourself to face very strong winds. 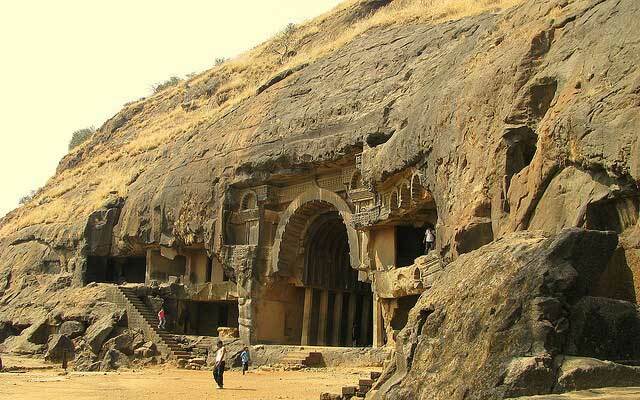 Bhaja Caves are amongst the most ancient Buddhist centers in this part of the world. They are over 2200 years old. The 22 rock-cut caves at the hill top represent the astonishing architectural skills possessed by the craftsmen of the past. Visit the caves in the evenings to have a perfect photo session. Since the caves face the west, you can have a great view of the caves after 3.00 pm and to photograph the caves when the sunlight beams on would add a mesmerizing effect. The best time to visit the caves would be during monsoon season as you can enjoy the rich greenery around; one could not forget to mention the waterfalls nearby, which has water flowing down in plenty during monsoon. The 14th highest waterfall in the country, Kune Falls fall from a height of around 650 feet. Thanks to its location amidst twin hills namely Lonavala and Khandala, Kune Falls offers visual delight to viewers. The rich greenery around the imposing fall is awe-inspiring. The three tiered waterfalls should be visited during monsoon to enjoy the views to the fullest. It was indeed a tough task to select 5 out of the limitless attractions at Lonavala. Your views may vary and I am keen to know what they may be. If they could accompany with images, all the more greater. Let me know d best place to visit in monsoon. Helpful but instead of top 5, it should be top 10… Some 2-3 important places are missing like Pavana lake camping and Boatings.